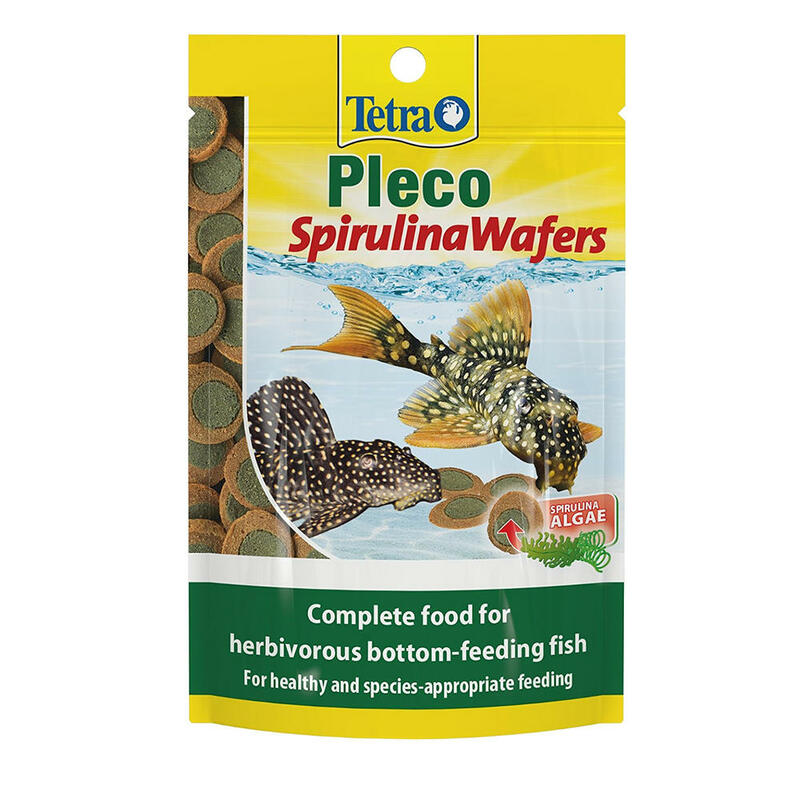 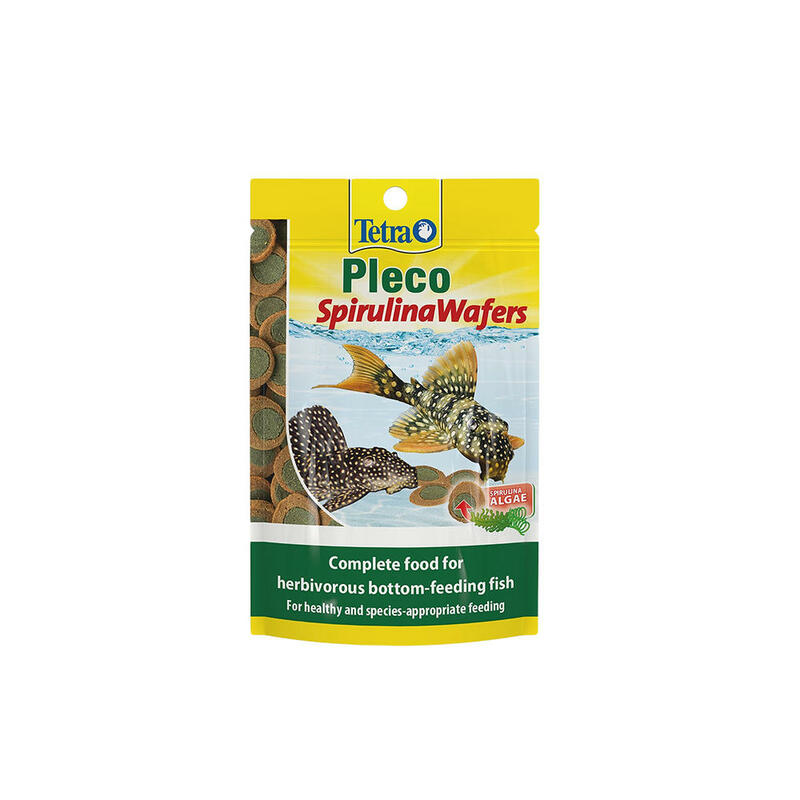 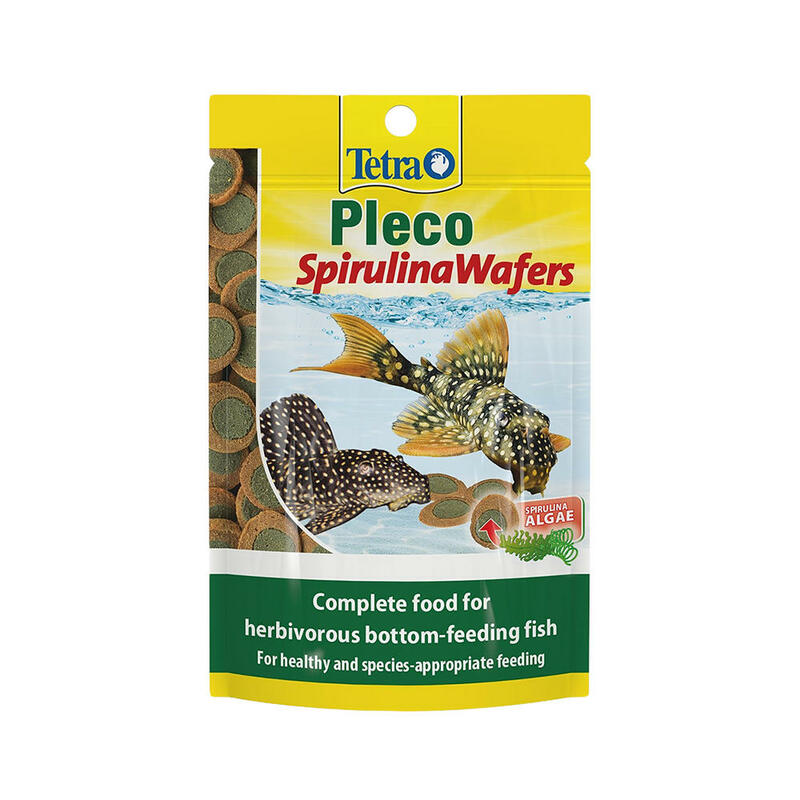 Complete food for Plecostomus catfish and other herbivorous bottom-feeders Feed Tetra Pleco Wafers 2-3 times a day, only as much as the fish can consume within a few minutes. 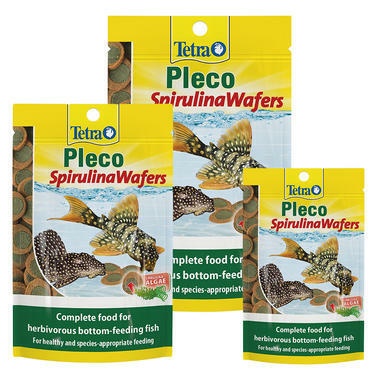 In mixed community aquariums, use in combination with TetraMin flakes / crisps or TetraPro. For timid fish, feed after the aquarium lights have been switched off.